Casting for Hope got its start when co-founders John Zimmerman and Taylor Sharp started fly fishing together in 2010. Taylor’s mother, Amy Sharp, was fighting ovarian cancer. John’s grandmother, Doris, had passed away several years earlier after fighting a similar multi-year cancer battle. Back then, Taylor was in John’s English classes at Patton High School, but John and Taylor found that fusing fly fishing and their growing friendship helped to heal both of their pains brought about by bearing firsthand witness to the traumas that come from a dear loved one living with cancer. Amy passed in December of 2010. In late 2011, John and Taylor were working on Taylor’s senior project of fly tying and rod building, and they entered a fishing tournament known as “Tie One On” for Casting for Recovery, an organization similar to ours whose focus is on women battling breast cancer. 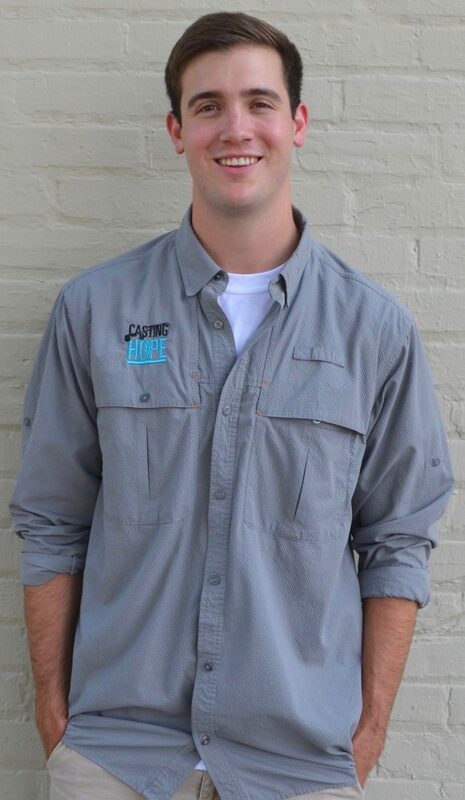 Casting for Hope was born that weekend after John and Taylor came back home after taking second place determined to fuse their love of fly fishing and their friendship with their desire to ease the pain that others were experiencing and which they knew about first hand. 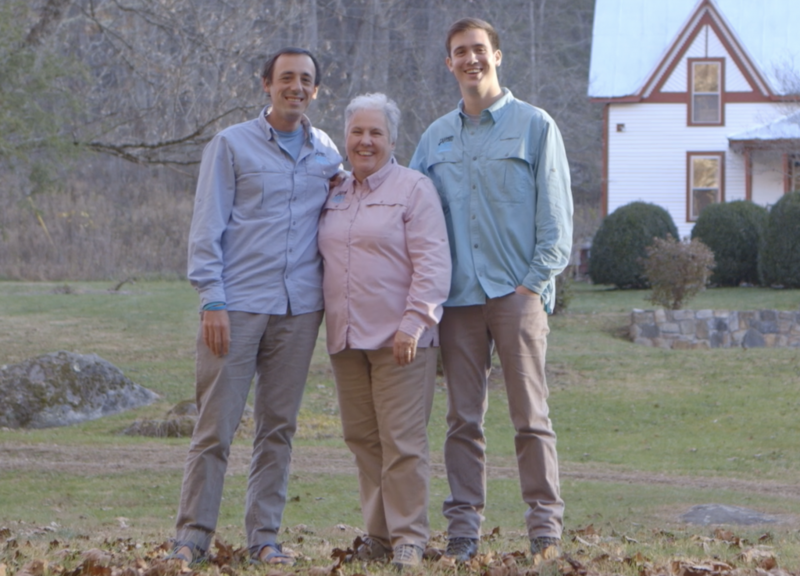 That’s when John and Taylor’s stories intertwined with Kathy Haney’s–our executive director. She was serving as the executive director of The Hope Chest for Women, and John and Taylor went to work fundraising for that organization under her guidance and mentoring. Over the years, Casting for Hope has grown from a small fundraiser for The Hope Chest for Women in Asheville, North Carolina to its own organization. Currently, Casting for Hope is involved in a number of fundraising activities for women battling ovarian and other gynecological cancers: we organize 5K races, benefit concerts, and other smaller fishing events in addition to our flagship fundraiser, our world-championship-modeled fly-fly fishing competition, Casting for Hope. Additionally, community benefactors come to Casting for Hope seeking to provide additional assistance through their own fundraising activities. Away from Casting for Hope, John is a high school English teacher. He has a Master’s degree in English and Education from Appalachian State University and is a certified by the esteemed National Board for Professional Teaching Standards. With Taylor, John co-owns and runs Upper Creek Angler, a fly-fishing guide and custom tackle service based out of Morganton, North Carolina. John is the organizer on the team. Partnering with Taylor in vision and mission setting, John’s gifts with organizational patterns and imaginative mind for processes give life to Taylor’s gifts at visualizing the future for Casting for Hope. 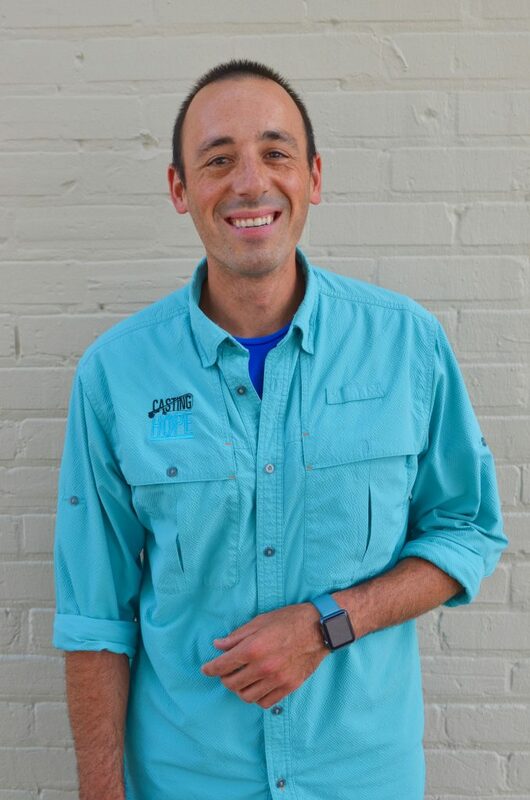 Together with Taylor, John co-directs and co-manages the annual Mipso in Morganton concert, the fishing side of the Casting for Hope Retreats, the Casting for Hope Gold Level Fly-Fishing Competition, and the Morning of Hope 5K Race and Community Sunrise Service. Taylor was a Morehead-Cain Scholar at the University of North Carolina at Chapel Hill, where he majored in the philosophy and business of sport. Taylor’s principal interests lie in the intersections of sport and philanthropy and how sport can use its platform to promote good. Taylor graduated in May of 2016. With John, he co-owns Upper Creek Angler, a fly-fishing guide and custom tackle service based in Morganton, NC. Taylor’s mother’s battle with ovarian cancer ended in December of 2010. Casting for Hope got our start through honoring and memorializing Amy’s life while Taylor was a high school student in John’s English classes. Taylor is the brains behind our marketing efforts and our long-range vision and mission setting. Together with John, Taylor co-directs and co-manages annual events such as the Casting for Hope Music Fest, the Casting for Hope Gold Level Fly-Fishing Competition, the fishing side of the Casting for Hope retreats, the Cherokee Classic, and the Morning of Hope 5K Race and Community Sunrise Service. 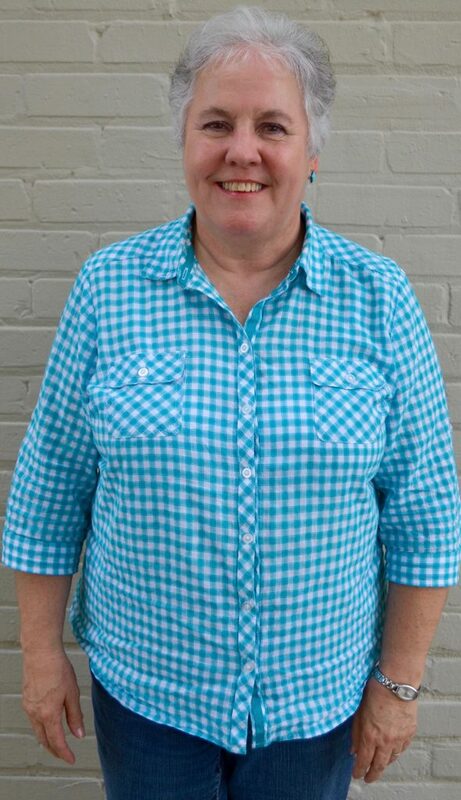 Kathy has been with Casting for Hope since the very beginning when she was the Executive Director at The Hope Chest for Women in Asheville, North Carolina. John and Taylor still recall the day they called Kathy and told her they wanted to do a fundraiser. They knew it was going to be a wonderful and long relationship. Kathy has the gift of intuition–she just knows what our patients and caregivers are going to need at retreat experiences and through our financial assistance program. This intuition is amplified by all the time Kathy spends with Casting for Hope patients at their treatments and chairing and facilitating the Western North Carolina Cancer Consortium as well as being a staple force at local and regional support groups. Kathy has a long and steady experience in directing non-profit corporations and management experience in a wide variety of fields, including businesses, schools, and non-profits. Casting for Hope is indeed lucky to have a woman of her talent and strong faith at the helm.